One of the surprising parts of Bryant McGill's book The Voice of Reason is its passionate defense of police officers. Most of the book I found somewhat formulaic, as it falls into the typical vein of self-help books that praise the inner beauty of humans in a corrupt world, ideas that hark back to good old Rousseau. Although I agree with pretty much all of McGill's ideas, such as the dangers of a corporate-governed world or the need for authenticity, compassion and kindness in a plastic conformist mono-culture, I do not think that there is much originality in its presentation here. At times it feels like this is merely the abridged and concentrated Coles Notes version of the actual text as ideas are not fully developed or explored; instead they stick out like one-sentence aphorisms that can be quoted at conferences to either empower people or to make them feel better about themselves or perhaps both. That being said, I really wanted to like it more, especially since the author himself had autographed my review copy! But again I felt that a book titled The Voice of Reason should at some point explain a little what this voice is or sounds like, why we should listen to it, and particularly why it ought to be based on reason since reason at times tends to be at enmity with one's inner core and spontaneous self. Yet all things considered I believe (and hope!) that a book that praises honesty should not be opposed to genuine criticism of itself. But I must give praise where praise is due and that purports to the section “The Police: Crucibles of Society and Enforcement,” in which the author remarkably and perhaps surprisingly puts a human face on the roles of the police in today's society. In a book that is focused on revolution, both inner and outer, it would have been the easy way out to blame or demonize the police, to use its members as the symbol for repression of the masses, as the embodied voice of authority. But McGill sees and illustrates the police in a different light. In fact, he empathizes with their roles. These are people who, more often than not, may even be idealists, those who wish to make the world a better and safer place. 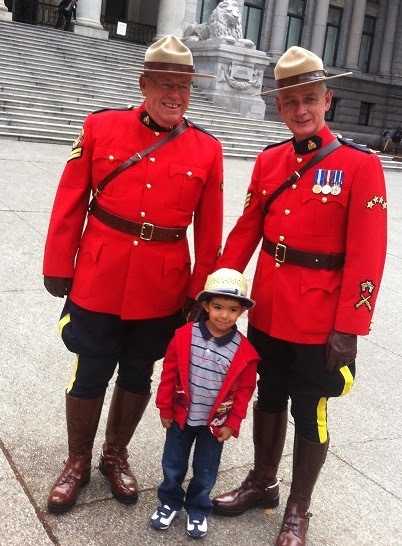 In fact, my five-year-old son sometimes claims he wants to become a member of the police himself. Asked about the inherent dangers of the profession, he answers that there won't be any dangers as he will catch all the "bad guys" and put them in prison. Problem solved. However, police officers may often find themselves in a compromising situation due to their social position and their official training. So much so that in many cases where we would expect or like to see their human or compassionate face, they must shield their own emotions under their cloak of officious rules. This often gives off the impression that they are aloof and uncaring beings, which in many cases is far from the truth (and I am counting on personal experience here as I have worked and hung out with police officers and find them overall more humorous and fun-loving than the average person). One should also not forget that most people the police have to deal with on a regular basis are simply not decent and law-abiding citizens; otherwise, the police would not be contacted in the first place. In such cases, showing empathy to the bad guys would not be a good idea as they would take advantage of it and see it not as an expression of solidarity towards human suffering, but rather as a sign of weakness to be exploited and pounded upon. This is the conflict that the on-duty police officer has to face constantly. Unlike government officials or lawyers whose humor and passion must have drained through the overuse of bland and lifeless rules and regulations (sorry if this is a stereotype and please prove me wrong), the police officer is constantly in the fields of danger and must be alert at all times not unlike a samurai. Their training and experience functions as their safeguard, while their bulletproof vest is for survival. Their actions must be guided by the law and hence their official response may be different from their own personal one. I remember one police officer who had to fulfill his duty with a heavy heart because he disagreed with the outcome. It was a custody battle where unfortunately the conniving wife held the upper hand and was assisted and supported by the law. Yet the husband was the one who had actually acted in a noble manner; his actions had sprung out of his sincere emotional attachment to his son. The police officer in question had to follow protocol despite his own feelings in the matter. Similarly, as McGill constantly insists, protests need to be of a peaceful nature. Any kind of violence discredits the protest and its however noble-seeming cause. In fact, violence becomes self-defeating as it brings the protestor on equal footing to the tyrant or opposed authority figure whenever it occurs. Yet what is worse is that violence is often directed at the representatives of the authority, the extended arm of law enforcement, namely police officers. Once the police officers are faced with violence, they have no choice but to respond equally, and there will be a number of innocent people hurt in this unfortunate fray. You cannot blame the officer for doing their job and for choosing their dictated response to this situation. That being said, McGill also realizes that there are a number of abuses perpetrated by those in power, including the police officers. This is a sad reality, as humans are fallible and they differ in their level and degree of morality. It is the literal good cop / bad cop scenario, where the latter may accept bribes or use excessive and unnecessary force in a given situation. Yet it would be the job and moral responsibility of the good cop to expose those infringements whenever they occur (which is often easier said than done). In reality, the good guys do not want to “betray” their partners and either turn a blind eye towards the situation, or worse, they may even defend their companions. This may be because they see themselves in an unspoken but acknowledged brotherhood with the force, yet that is a mistaken identification. The good people ought to expose baseness and let those rotten apples be eaten by worms instead of supporting and helping them. One of the problems is that infringements by people in authority seem to go by unpunished and that is why the public may glance upon those in uniform with an eye of mistrust. So let us give the police officers their due credit for ensuring protection and safety for the citizens. They are, for the most part, heroes as they are risking their lives, the same way, firefighters do not fear the burning flames. At the same time, to quote Spiderman, with great power comes great responsibility, so each of the members of the Force must use their own powers and authority in such manner, namely for the benefit and good of all.